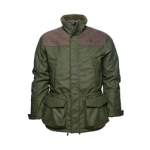 The Keeper range was the “Announcement of the Year” from Seeland a few seasons ago. 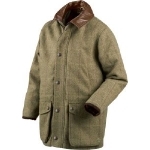 As predicted, this suit continues to be very popular. 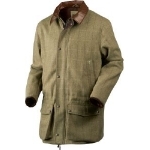 It was our designers goal to create the most versatile hunting suit on the market, and with t..
Material: 50% Wool/50% Polyester, Tweed Lining: 100% Polyester, Polyester Twill Technologies: Scotchgard, Seetex Dropliner Features: Made from a wool blend with a Durable Water Repellent (DWR) treatment Optimized See..
Material: 100% Polyester, Microsuede Lining: 100% Cotton, Flannel Padding: 80g Features: Sound reduced quilted surface Classic brass 2 way zipper 2 large front pockets Classic checked lining .. 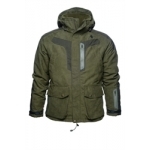 Style: 100211628 c58 XXL 50" Colour: Pine Green Main Fabric: 100% Cotton, Canvas Lining: 100% Polyester, Sherpa fleece Technologies: SEETEX® 2 layer shell Features: • Reinforcement panels • Game pocket, lined w..
Material: 100% Cotton, Active Cotton, Heavy enzyme wash Lining: 100% Cotton, Poplin Check Features Two-way front zipper Zipped chestpocket Hard wearing triple stitched seames Soft fl..
Seeland Trent Fleece Jacket is a versatile, warm and windproof, men's fleece jacket that gives you a versatile fleece that can be worn as a layer or as an outer-layer depending on the conditions. 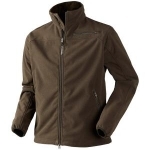 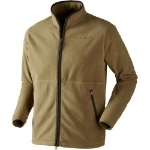 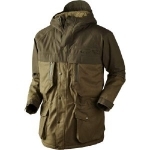 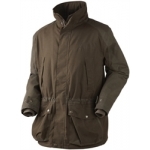 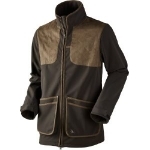 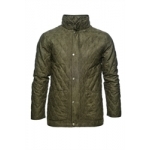 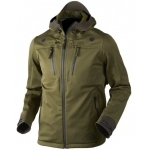 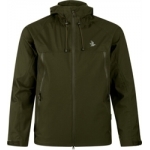 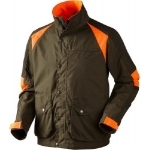 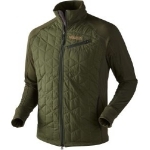 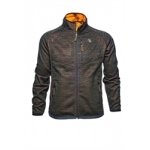 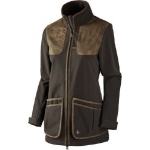 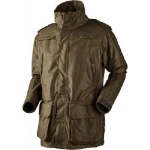 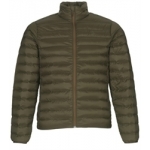 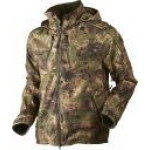 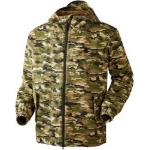 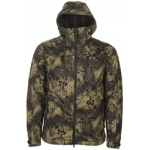 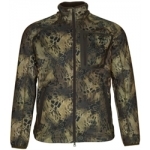 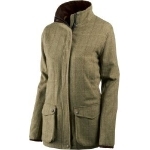 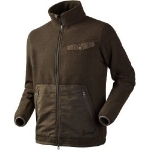 •Main Fabric:- 100% Polyester fleece •T..
Hjartvar is a Härkila Hybrid System jacket for active and intensive hunting. 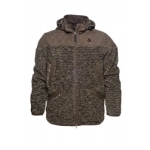 The PrimaLoft® Silver padding insulates efficiently without bulk, and the ArcStretch™ fleece along the panels and sleeves provides complete freedom of movement. 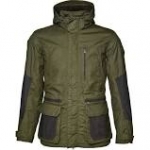 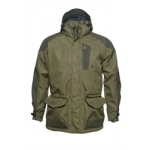 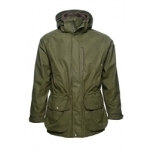 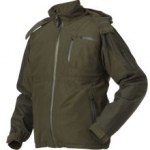 F..
Material: 100% Polyamide, Ripstop Lining: 100% Polyester, Pongee Technologies: SEETEX® 2-layer Features: Heavy duty reinforcement Detachable hood X-large front pockets Game pocket lined with Oxford nylon Wrist guar.. 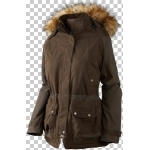 Style: 100211704 Size: C48 – C60 Colour: Grizzly Brown Main fabric: 65 % Polyester / 35% Cotton, Poplin, Polyeurethane coating Lining: 100% Polyester, Brushed Tricot Technologies: SEETEX® 2 layer Lining Features: •..
Material: 100% Polyamide, Taslan, Polyurethane coating Lining: 100% Polyester, Pongee Technologies: SEETEX® 2-layer lining Features Large cartridge pockets w. drain holes Action back&nbs..
A fantastically soft Coral fleece. 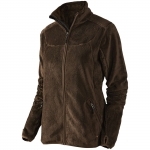 Coral Fleece has a dense, fluffy, almost spongy quality, and is very tactile having a deep pile on one side. 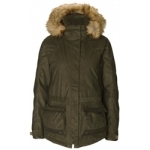 This is meant to be worn as a light underlayer that will take up very little room but provide comfort a.. 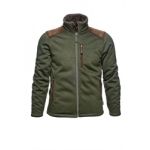 Style: 100212828 Colour: Pine Green Size: 36 -46 Main fabric: 100% Polyester, Tricot, Brushed Lining: 100% Polyester, Brushed Tricot Padding: 100% Polyester, 140g Technologies: SEETEX® 2 layer Shell, Thinsulate Feature..
Material: 100% Polyester, Small Taplon, Polyurethane-coating Lining: 100% Polyester, Pongee Technologies: SEETEX® 2-layer Features: Optimized Seetex menbrane Detachable hood Game pocket lined with Oxford nylon Quick lo..
Seeland Marsh Jacket is a versatile mens shooting jacket that has matching trousers and all the features required. 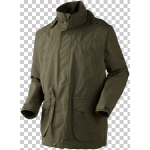 In designing this shooting jacket, Seeland have focussed on creating a jacket that will resist heavy use so it has great reinforceme..
Material: 50% Wool/50% Polyester, Wool blend, Scotchgard coating Lining: 100% Cotton, Flannel Technologies: SEETEX® 2-layer Features Large cartridge pockets Game pocket Action b..
Main fabric: 100% Polyester, Coral fleece Front pockets with zips Integrated hood Thumb holes on bottom sleeve Chin guard 1-way zip centre front ..
Winster Softshell is an updated version of the classic Winster range. 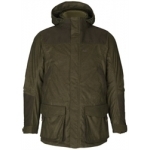 The range has retained the large cartridge pockets and shoulder reinforcements, but now features the new Seetex membrane, with enhanced flexibility, waterproofing and breathabil..
Material: 100% Polyester, Taplon , DWR Lining: 100% Polyester, Pongee Padding: 20g Technologies: SEETEX® dropliner, Features: Optimized Seetex membrane Radio pocket Game pocket lined with Oxford nylon Detachable hood S..
Seeland Eton Kids Jacket is new from Seeland for Autumn 2013 and we think your kids will love it. 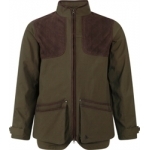 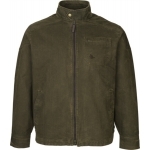 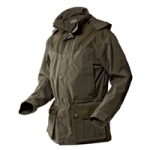 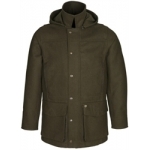 This Jacket has all the functionality and quality of the adult Eton Range and there are also trousers to match. Made with Seetex 2-layer 5,000/5,000 ..
Material: 94% Polyester/6% Spandex, 3 Layer Cube Fleece Back Lining: 100% Polyester, Mesh backing Technologies: SEETEX® 3-layer Features Made from super flex 3-layer material, allowing excellent mobi..
Coming Autumn Winter 2015 Main Fabric: 100% Polyester, Melange gaberdine, Brushed Trim: 55% Polyester / 45% Polyamide, Micro Fiber, Peached Lining: 100% Polyester, Pongee Technologies: Seetex 2 layer shell USP: C..
Material: 60% Wool/40% Polyester, Loden, Scotchgard coating Lining: 100% Polyester, Micro Fleece Padding: 60g Features: Sound reduced construction Classic micro suede trims 2 large front pockets Adjustable waist and hem..
For a perfect present purchase a £25 gift voucher for use at our retail premises in Montrose ..
Material: 100% Polyester, Twill Technologies: SEETEX® 2½-layer Features Adjustable hood Two-way front zipper Adjustable cuff Pit zipper Adjustable bottom hem &..
Main Fabric: 100% Polyester, Herringone, Brushed Trim: 55% Polyester / 45% Polyamide, Micro Fibre, Peached Lining: 100% Polyester Padding: Thinsulate KK, 60g Technologies: Seetex 2 Layer shell U..
Material: 100% Polyester, Sherpa Fleece Lining: 100% Polyester, Brushed tricot, Fabric wash Technologies: SEETEX® 2-layer lining Features: Sound reduced construction Classic quilted trims Detachable hood Storm cuffs 2 ..
For a perfect present purchase a £50 gift voucher for use at our retail premises in Montrose ..
Material: 100% Nylon, Taffeta Lining: 100% Nylon, Taffeta Padding: Fake Down Features Lightweight Packaway Two front pockets Pine Green ..
Main fabric: 100% Polyester, Thermo Tech fleece, One side anti-piling Trim: Artificial leather Lining: 100% Polyester Tricot Technologies: Hollow fiber USP: 2 zipped front pockets Elasticated cuffs..
Material: 100% Polyester, Tricot Lining: 100% Polyester, Pongee Padding: 150g Technologies: SEETEX® 2-layer Shell, Features: Versatile convertible jacket, with a zip-in inner jacket Optimized Seetex membrane Sou..
Material: 100% Polyester, Fleece Knit Windbeater Technologies: WindBeater® 3-layer Features: Super flex windbeater, allowing maximum movement Adjustable bottom hem Both side front pockets Both side chest pockets Articulate.. 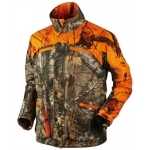 Style: 100211864 Size: C48- C60 Colour: 30% Realtree APB Main Fabric: 100% Polyester, Brushed Tricot Lining: 100% Polyester Mesh Technologies: SEETEX® 2 layer shell Features: • High visibility features • 2 way ..
Material: 100% Polyester, Tricot, Brushed Lining: 100% Polyester, Pongee Technologies: SEETEX® 2-layer Features Versatile convertible jacket, with a zip-in inner jacket Optimized Seetex ..
Main Fabric: Tweed Lining: Polyester Twill Technology: Scotch guard, SEETEX Dropliner Features: Made from a wool blend, with a durable water repellent (DWR) treatment Optimised Seetex membrane Leather reinforced ..
Feral is the new range of shooting clothes in Seeland GP camouflage, designed to blend into the spring and summer vegetation. 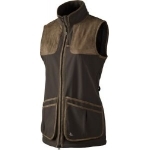 The Feral range is made from silent, breathable and hard-wearing canvas and is designed for those shoots where it`s essen..
Material: 100% Polyester, Double face fleece Features: Diamond quilted shoulder patches Adjustable bottom hem ..
Sturdy waxed cotton canvas vest for dog training and retrieving game. 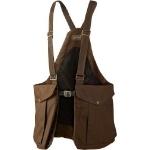 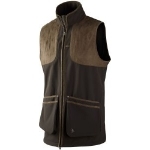 The Retriever vest has large, capacious front pockets and excellent freedom of movement. 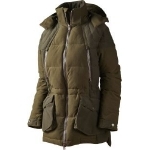 The back has a washable lining and can be zipped open for extra capacity. 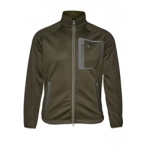 ..
Material: 100% Polyester, Soft Fleece Technologies: WindBeater® 3-layer Features 3 layer super flex material Sound control Windbeater Ergonomic fit Prym1 Ca..
Main fabric: 94% / 6% Spandex, 3 layer Cube fleece back Lining: 100% Polyester, Mesh backing Technology: Seetex 3 layer shell Features: Made from super flex material, allowing excellent mobility Optimized breathabili..
Material: 50% Wool / 50% Polyester, Tweed Lining: 100% Polyester, Polyester Twill Technologies: Scotchgard coating Features: Made from a wool blend, with a Durable Water Repellent (DWR) treatment Optimized Seetex mem..
Material: 100% Polyester, Soft Fleece Technologies: WindBeater® 3-layer Features: 3 layer super flex material Sound control Windbeater Ergonomic fit .. 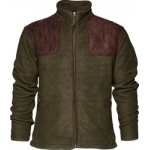 Style and Colour: 130212405 Demitasse brown Size: M – 3XL Main fabric: 100% Polyester, 2 tone fleece Features: • 2 way pile fleece • Durable cotton / nylon front pockets • Draw cord at bottom hem ..
Main Fabric: 100% Polyester, Brushed Tricot, DWR Lining: 100% Polyester Technologies: *HWS 2 -layer Features: Detachable hood Double radio zipped pockets with rubber aerial ports Side zipped pockets ..
Eton is a sporty suit ideal as in an outer shell. 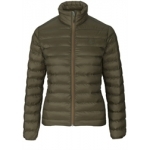 The silent and soft 2 layer material has the breatjable and waterproof Seetex membrane, an ideal choice when activity is high and the terrain demanding. It is created to resist all kind..
Material: 100% Polyester, Fleece Knit Windbeater Technologies: WindBeater® 3-layer Features: Sound reduced construction Classic micro suede trims 3 layer windbeater contruction with stretch Regulating body temperature, wit..
Material: 100% Polyester, Tricot, Brushed Lining: 100% Polyester, Pongee Padding: 80g Technologies: SEETEX® 2-layer, Thinsulate™ Features Large cartridge pockets Hand warm..
Seeland Key-Point Jacket Seeland Key-Point Waterproof Shooting Jacket Pine Green This a new jacket that Seeland is lightweight and hardwearing and the low noise material makes it ideal for hunting. 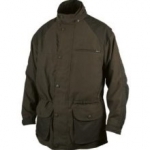 Features: Waterpro..
Main Fabric: 100% Polyester, Herringbone, Brushed Lining: 100% Polyester, Pongee Padding: 100% Polyester, 80g Technologies: Seetex 2 layer shell, Thinsulate Features: Large cartridge pockets Hand warmer poc..
Material: 100% Polyester, Small Taplon, Polyurethane-coating Lining: 100% Polyester, Pongee Technologies: SEETEX® 2-layer Features: Optimized Seetex membrane Detachable hood Quick load function Cartridge pocket with dr..